Music is one of the most popular activities for mobile devices, with millions of us listening daily thanks to the portability of smartphones and tablets. Although you may think that the audio quality of your iOS device is pretty good already, thanks to its built-in equalizer, you might be pleasantly surprised by the difference offered with a decent equalizer app. Thankfully, Apple has given leeway to developers that want to create equalizer apps for iOS devices, and there are various apps available on the company’s App Store. These apps can adjust the sound to be just how you like it and give you more controls and settings to take advantage of. This will make your enjoyment of music more satisfying, whether you’re a casual listener or a professional musician. We have been checking out many iOS equalizer apps to save you the time and effort, and some are more user-friendly than others. We’ve considered this and other factors to narrow the selection down to the very best iOS equalizer apps available, so take a look, and you might decide to download one or more of the following apps to improve your sound experience. Get the best sound quality with Equalizer+ that acts as a music player and equalizer. It can access music from iTunes, Google Drive, and Dropbox, with no need for a Wi-Fi or Internet connection thanks to an offline mode. This app automatically gives you optimized results depending on which headphones are being used, and you can mix, customize, and edit the sound to your heart’s content. It features DJ transitions for when you want to play your playlists, and if you want to share music from your PC, the iTunes shared folder access means you can directly transfer your tracks. Further features include a 7-band equalizer, 10 equalizer presets to suit different musical genres, Spectrum representation of sound and much more, and all of the main audio formats such as mp3 and FLAC are supported. You can also take advantage of the queue system, a repeat function (for one song, a whole playlist or no repetition), shuffle function, music progression bar, and more. This is the paid premium version of the first app on our list and offers everything above with some additional features. For example, the premium offering includes a bass booster, the option to save and edit custom presets, additional spectral visualizers, 6 predefined fade transition modes, and a Sleep Timer feature. This has mixed reviews, but we found it worked well and the equalizer gave us the sound that what we were looking for. You can tweak the sound to suit your environment, your mood, or a specific style, and get the best out of your headphones or speakers by adjusting the spectral balance. Rather than predefined bands, you can benefit from over 1000 discrete bands for smooth and precise frequency response. The interface is user-friendly, and its many cool features include expanded music navigation, bypass mode, the option to save your own presets, artwork view, linear phase design, no spatial distortion and more. However, EQu does not support DRM-protected music and if you want to get the Internet radio feature you’ll need an in-app purchase of $1.99. This app is free to download with numerous features available, but please note that if you want the equalizer feature, you’ll need to get it through an in-app purchase of $1.99. It will enhance the audio experience of your iOS device and enable you to browse your iPod library, create and save playlists, or listen to more than 70,000 Internet radio stations and 2 million on-demand programs with the TuneIn service. The graphical equalizer allows you to contour sound using over 1000 discrete bands of equalization, with no reduction in sound quality and with no spatial distortion, so you can pump up the volume as easily as you like. There are also 10 built-in EQ presets, a bypass mode, linear phase design, and further features. Do note that if you want to stream Internet radio, you’ll need a Wi-Fi or data connection, and the app does not include support for DRM-protected iTunes music. An upcoming update is slated to include iTunes Match support. 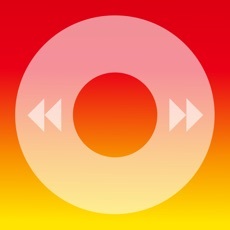 The EQ and FX aspect of this audio player app has plenty to recommend. Features include a 10-band equalizer, Low Shelf, High Shelf, and 3X Peaking Filters with variable width, and the option to save custom presets. To control filter parameters, you simply need to swipe up or down on the Hz, dB, and Q labels. The music player supports gapless playback and an integrated cherry-picker track selector, while the radio player includes stations from all kinds of genres. The app also supports AirPlay, as well as portrait and landscape view support, preamp control, color customization and much more. The interface is very clean, and it has easy-to-use controls. The MolaEqualizer app is packed with features, most of which are included in the free version. The 16-band equalizer is simple to use, and sound can be amplified up to 20dB. Functions and features include an auto gain adjustment to balance sound distortion, and the EQ settings include tow mode, curve mode, and graphic equalizer mode. A nice touch with this one is that you can see and scroll through the lyrics of a song that’s playing. 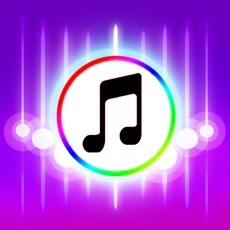 Stereo mode is not available in this free app, but you can get that through making an in-app purchase of $2.99, which will also get rid of the banner ads. This is an excellent choice as it offers 3D surround sound for an immersive experience where you can almost feel the music. There are numerous sound control options to fine-tune your music, and the music player is smooth and intuitive. Handcrafted equalizers offer various presets and the app also offers customized playlists. The audio intensity effects work extremely well, while the headphone selection feature optimizes the sound for different types of headphones (over ear, on ear, airpods, in canal, and in the ear). You can access music from your iPhone library as well as from Google Drive and Dropbox and can download further tracks to keep on your device. In-app purchases are available with this app for special packs or to remove ads. This app makes a nice change as it’s not only free to download but is also totally free to use, with no in-app purchases to worry about. It has a really appealing interface and is easy to operate, with none of the complicated settings of similar apps. With this one, you simply touch the EQ sliders to get the results you want, and features include 16-band equalizer, 3D reverb effect, frequency adjustment, unlimited preset management, unlimited playlist management, swipe gestures, fine volume control, timer support and a bunch more. 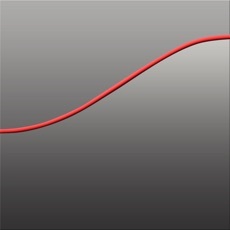 This app plays your music and has a very neat line equalizer that will adjust the sound to your preference in a rather cool way. You just move the line in real-time to get your music just how you want it, and you can also save hand-drawn lines as presets. If you want to hear the sound difference, it includes a “compare to original audio” button that you just press and hold, and additionally, the app includes the option to download FLAC lossless songs from Dropbox to listen to at your own convenience. The high user ratings attracted us to try out this app, and we feel it’s worth the price. However, we’ll point out straight away that it’s designed for music that’s installed on your device from iTunes and the equalizer aspect is not compatible with downloaded tracks from Apple Music. The app has a 10-band equalizer, and you can use the presets library or create a personal settings library. 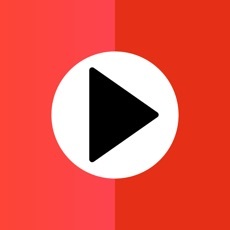 There’s a useful handoff feature that enables you to listen on one iOS device and continue on another, and among many other features are a video player and an equalizer widget. 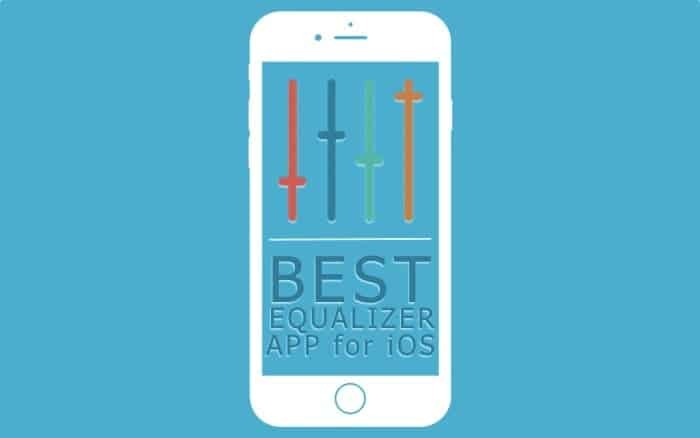 It’s good to know that with the use of an equalizer app you can really get the most out of the sound of your iPhone or iPad, and the apps above have various features and performance values. If you listen to a lot of music, it’s well worth using one to help you attain what you feel is the perfect sound. Although this is our selection of the best iOS equalizer apps, we’re well aware that there will be others that you might feel should have made it to our list. Therefore, if you want to mention another that you use and tell us why you like it, feel free to comment.